Every now and then a fisherman finds him or herself headed for a new body of water to fish. These occasions may be vacations, tournament locations or just simply somewhere new to fish. Obviously, the more information you have about a body of water the more prepared you can be. In getting prepared to fish a strange lake there is no such thing as too much information. Just by chance, one such source of information was stumbled upon while zipping around the Internet. Screen shot of the Lake Resource main page. The site is owned and operated by United Marine Underwriters out of LaGrange, KY, an insurance group. But don’t let that put you off. Although there are low intensity insurance pitches included, there is a wealth of other information on the site. The section that applies to the subject at hand is called “Lake Resources”. Lake Resources takes you to the “LakeBrowser” that presents a map of the United States so you can select the state where your “fishing hole” is located along with other information and explanations. While specific fishing information such as lures, best places to catch certain species, etc. is not part of the data, there are things revealed about your target body of water which are relevant. Reviewing the data for a lake shows you the coordinates, water surface area (size), maximum depth, elevation, normal water clarity and monthly average air temperatures. Also listed is the nearest major city, airport and lodging information. The website also provides a Boating Safety section which might be worthwhile reading. Another great service is a 100% free “Boats For Sale” section. As mentioned, insurance is the main theme. And if you are a guide you might have an interest in checking out the special policy available just for you. Also listed is a program for the professional fisherman. This program provides coverage for the pro angler that allows advertisement endorsements, fishing guide and other necessary coverage for the pro anglers. An assumption is that bass boat/crappie boat insurance is also available. So maybe there’s some fishing specific insurance of interest after all. To take advantage of the lake resources information provided by United Marine Underwriters visit their site at https://secure.unitedmarine.net/lakebrowser/ or for information on those fishing specific insurance programs you can email umu@unitedmarine.net and/or call 800-477-7140. 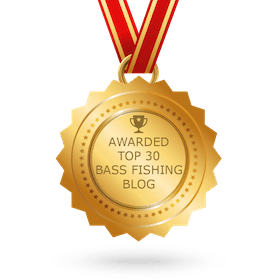 Southern Fishing News is providing this information to you as another resource and by doing so does not constitute any endorsement of the providers of the information or the commercial products offered.